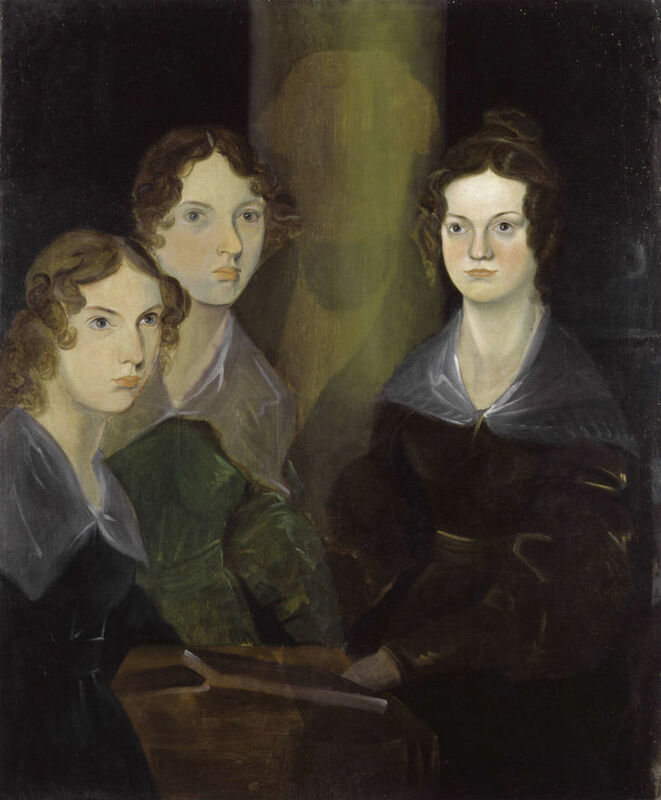 Yorkshire-born author Charlotte Brontë has few connections to London. Unlike Agatha Christie or Beatrix Potter, who we like to claim are kind-of Londoners, Charlotte and her sisters remain out of our grasp. And yet the Brontës did visit London. Charlotte made five separate visits to the capital. It's safe to say she didn't share our love of the city, preferring the wild countryside of Yorkshire to the strictures of London society. 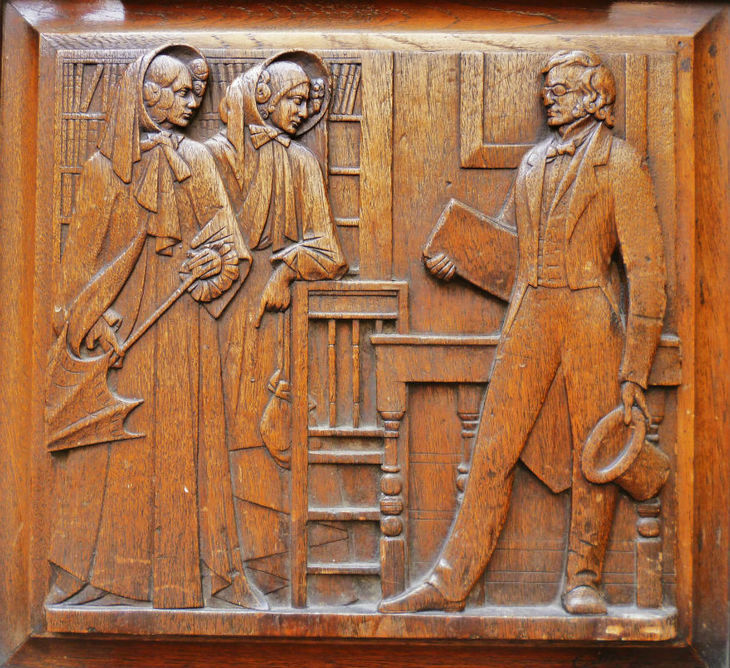 But Brontë fans can still consider some lasting London locations for a Brontë pilgrimage. And the city certainly left its mark on our heroine. 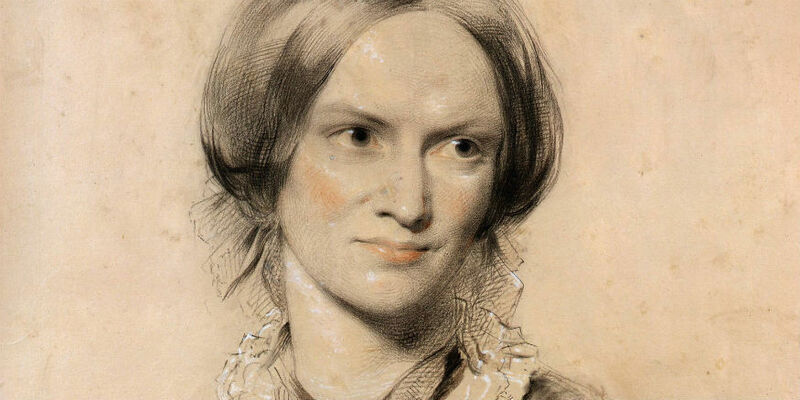 Charlotte Brontë's first visit to London was in July 1848. Along with her sister Anne, Charlotte came down to meet her publisher George Smith of Smith Elder & Co, to disprove rumours that the Bell authors (the pseudonym the sisters were using) were in fact one person. They travelled by overnight train, arriving at Euston station early in the morning. Euston would have been Charlotte's gateway to London; she passed through the Victorian railway hub each time she arrived in the capital, and each time she escaped back to the quiet of Haworth. It's nice to note that the first WH Smith bookstall at a train station opened in the same year — November 1848 — perhaps Charlotte would have perused the books on offer when she visited. 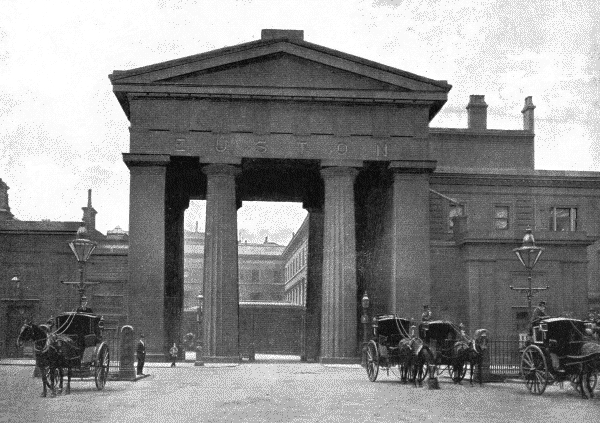 Euston Arch in 1896, image via Wikimedia Commons. 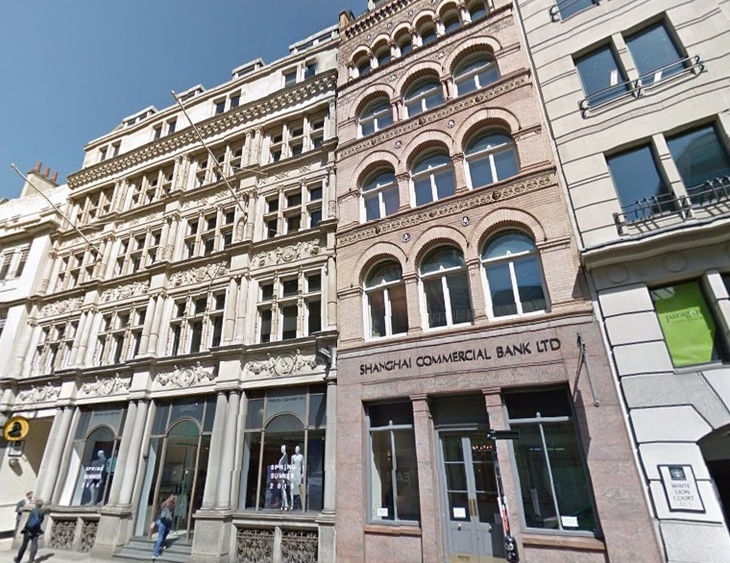 The famous meeting of the two sisters and their publisher George Smith took place at 65 Cornhill, now a bank. The young publisher was presumably astonished to see these two earnest little ladies in provincial dress; he had been under the impression that Jane Eyre was written by a man. 65 Cornhill, London in 2016. on 8 July 1848, the Bronte sisters surprised the publisher, George Smith, revealing themselves to be women. Image from Google Maps. George describes the sisters as "two rather quaintly dressed little ladies, pale-faced and anxious looking." It may seem strange that the possession of genius did not lift her above the weakness of an excessive anxiety about her personal appearance; but I believe that she would have given all her genius and her fame to have been beautiful. That night, George took the sisters to see Rossini's Il Barbiere at the Royal Italian Opera House, what is now the Royal Opera House in Covent Garden. The sisters must have looked out of place, wearing plain, high-necked day dresses while London society regulars at the opera swished around them in silks, jewels and taffeta. 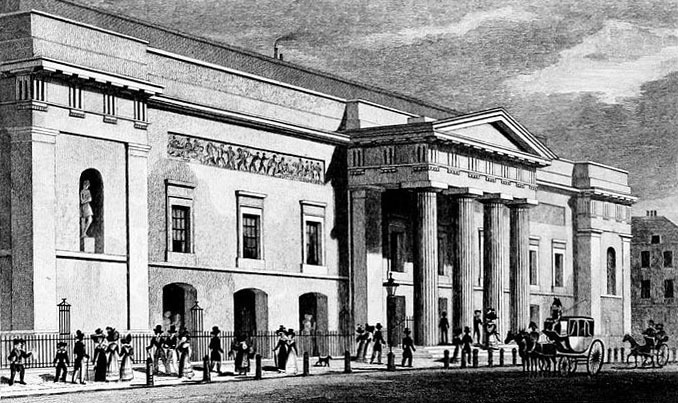 The Theatre Royal, Covent Garden in the late 1820s. From the Royal Opera House wikipedia page. 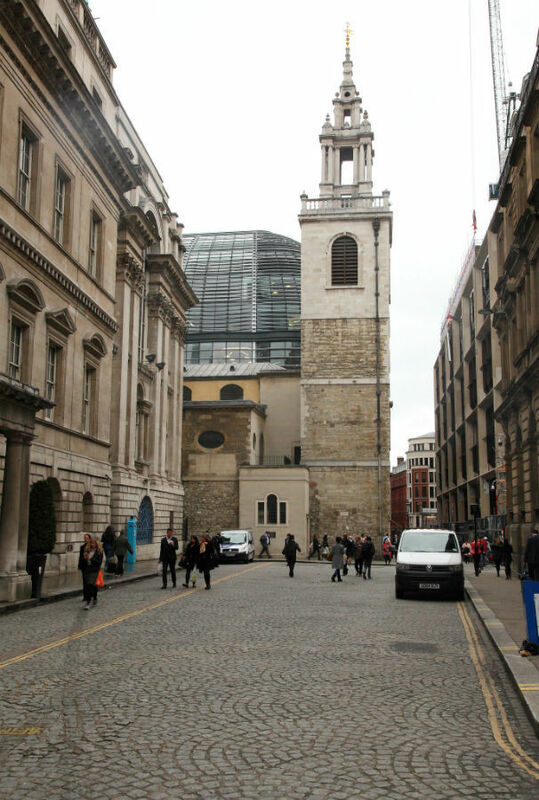 Records also show Charlotte and Anne visited St Stephen's Walbrook the next day, hoping to hear the famous author and cleric Dr George Croly preach. 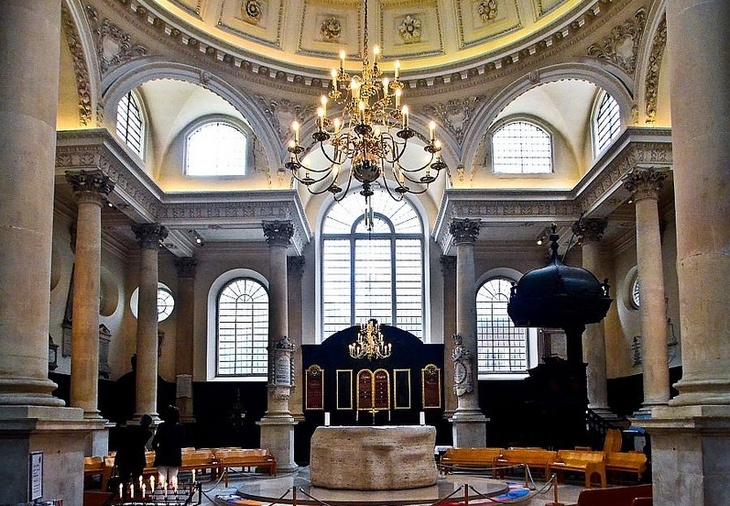 St Stephen's Walbrook by John Mugford. In fact, Croly was absent that Sunday. Memorials to the cleric remain in this beautiful Wren church today. Inside St Stephens by Andrea Liu. After the death of her brother and sisters, Charlotte made four more visits to London. In the summer of 1850 she toured many London sights, seeing a new hippo at the Zoological Gardens, the first seen in Europe since Roman times; celeb-spotting the Duke of Wellington at the Chapel Royal; and generally being shown the best bits of town by her dashing young publisher. 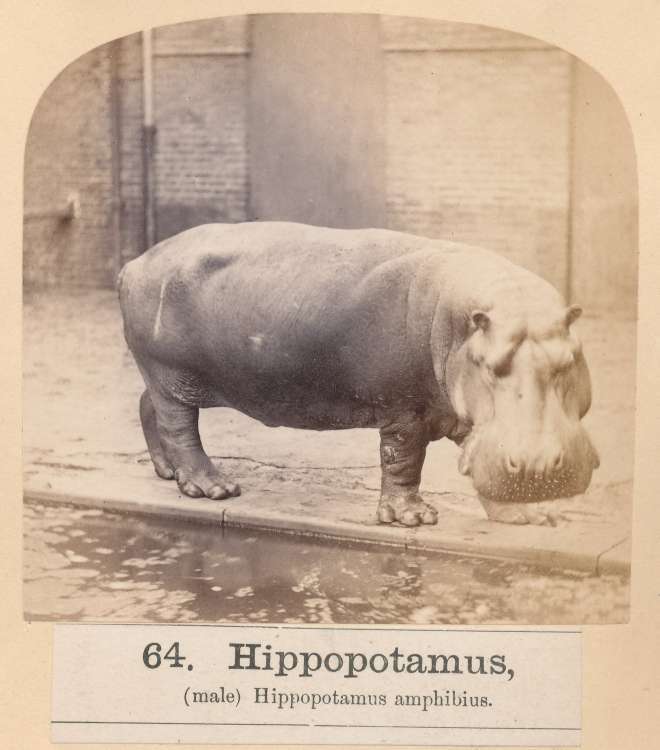 Obaysch, London Zoo's first hippo, photographed by Frederick York, circa 1870. Charlotte also visited the 1851 Great Exhibition not once, but five times in the company of Dr David Brewster, an eminent scientist and inventor, and friend of George Smith. It is a wonderful place — vast, strange, new and impossible to describe. Its grandeur does not consist in one thing, but in the unique assemblage of all things. Through George and the dinner parties hosted by his mother, Charlotte was introduced to various figures from London's literary society. The diminutive Charlotte was teased by a larger-than-life William Makepeace Thackeray, when they met in 1850; he insisted on calling her Jane Eyre throughout various social engagements, and by all accounts generally made our heroine feel pretty uncomfortable. There's a fantastic report of one of these evenings written by Anne, Thackeray's daughter who would've been a young girl at the time of Charlotte's visit. "Two gentlemen come in," reports Anne, "leading a tiny, delicate, serious little lady, with fair, straight hair and steady eyes. She may be a little over thirty; she is dressed in a little barége dress with a pattern of faint green moss. She enters in mittens, in silence, in seriousness; our hearts are beating with wild excitement." The dazzling soiree everyone was expecting failed to materialise. "It was a gloomy and silent evening," Anne recalls. "Everyone waited for the brilliant conversation which never began at all." One of Thackeray's friends, Mrs Brookfield, asked, "Do you like London, Miss Brontë?" There was a long silence. At length, the author replied, "Yes; and no." On her fifth and final visit to London in January 1853, Brontë deliberately avoided 'normal' sightseeing. 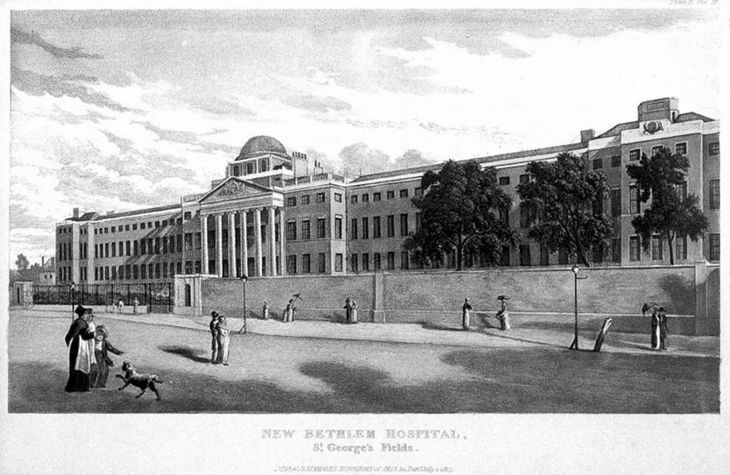 New Bethlem Hospital, St George's Fields, London, 1817. Photo credit: Wellcome Collection. Inspired by her friend, Mrs Gaskell, whose writing featured more 'real life' than Charlotte's own novels, she visited the Foundling Hospital for abandoned and orphaned children; Newgate Prison; Bethlehem psychiatric Hospital (or Bedlam); and the Bank of England. 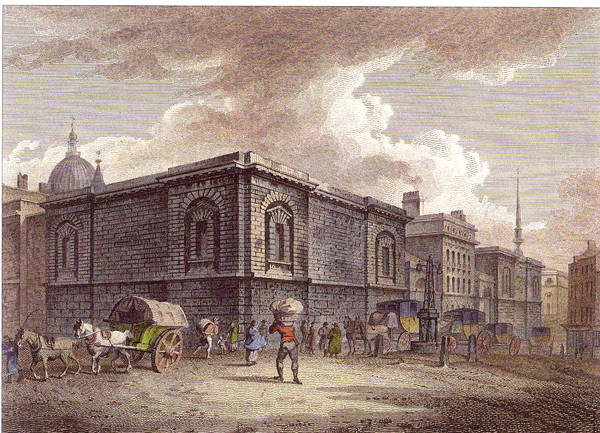 Newgate Prison. Image from londoninsight.wordpress.com. Charlotte had rather offended her flirty publisher and his mother by sending them up in her latest novel, Villette; the atmosphere in their Bayswater home where she was staying was decidedly frosty for this, her last visit. 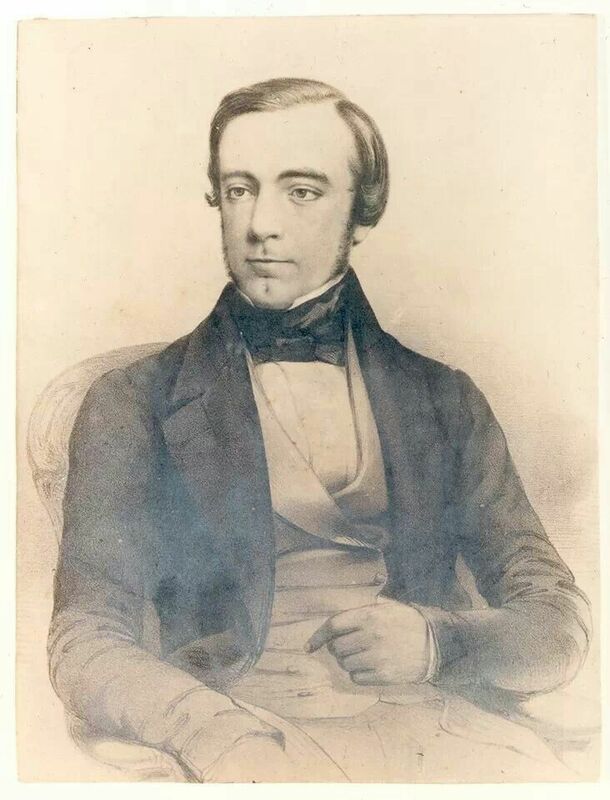 Later, George wrote to Charlotte to say he'd married a rich heiress; Charlotte sent a curt reply announcing her engagement to her father's curate, Arthur Bell Nicholls. Nine months into that marriage, and pregnant with her first child, Charlotte died. She was 38. Much of this post is inspired by Kate Shrewsday's writing, and curator Charlotte Cory's amazing work for the John Soane Museum.